Hello Foxy Friends! 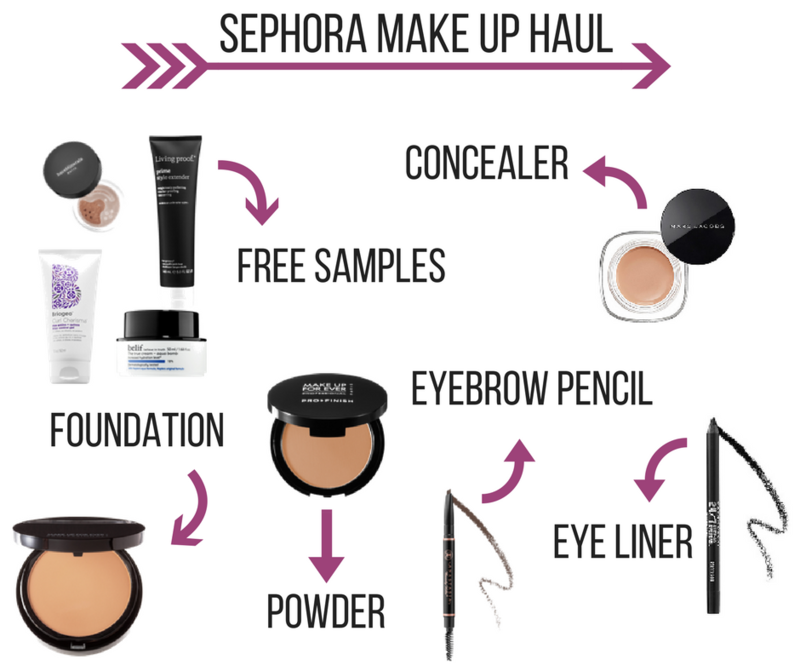 Today I'm sharing a Sephora Haul I did a while back, where did the time go? Anyway, I'm ran out of a bunch of my make up staples, and thought I would share what some of my go to purchases are. I love getting freebies, but does anyone else have the issue of remembering to use them? I need to get a better system, so I can actually remember to use this stuff! This is one of the reasons why I don't do a monthly subscription box for make up, I just don't have the room to store it any more! Although Boxycharm is the one that I'm eyeing on getting next. My friend just sent a picture of what she got in her box this month, holy cow, I wanted everything and for $20 it's a pretty dang good deal! Here is a list of things I got. That eyeliner pencil awesome? I have an issue with oily eyes, so I have to use waterproof, I've used the Marc Jacobs one as well (freebie I remembered to use, actually I couldn't find my Urban Decay one, and I saw that one in the drawer), and like it, I need to give it another try. I've used the Duo Finish Powder a couple of times, but isn't my go to, I just really like the Pro Finish, gives me a little more coverage. I do however use this when I do a full foundation look. What is one of your make up staples that you keep buying over and over again?